M&C Saatchi has announced the appointment of Lee Simpson to managing partner. In his new role, Simpson will lead the agency’s largest account, CommBank. He will report into the agency’s general manager, Mim Haysom. 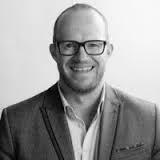 Simpson comes to the role from Clemenger BBDO Melbourne where he was Managing Partner and Head of Account Management. He brings significant experience in financial services having led the NAB business for the past three years. While at Clemenger, Simpson led the team to a myraid of awards including placing 9th in WRAC’s top 100 Most Effective Agencies, 3rd in The Gunn Report’s Digital Agency of the World, as well as continued Clemenger’s success in winning the Campaign Brief Australian Creative Agency of the Year. Prior to this, Simpson was a Board Account Director at the UK’s most awarded agency, AMV BBDO. Simpson started his career at Grey London, becoming their youngest Business Director/GAD. His experience there spanned a range of clients including P&G, ten GSK brands, launching a WPP start-up and the British Heart Foundation digital business.